One fine evening, Farzam invited us over to his crib for dinner. 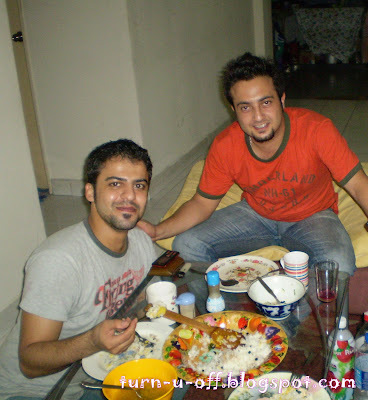 Farzam & Wahid. After knowing them for years now, I'd say that hospitality is something that is in the genes of the Iranians. "When we go abroad for higher studies, we must learn to cook," they said. 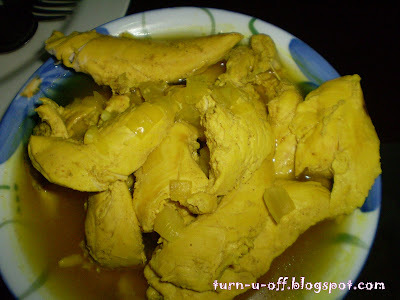 One of the dishes is the mouth watering saffron chicken. Of course, their dishes are served with rice. 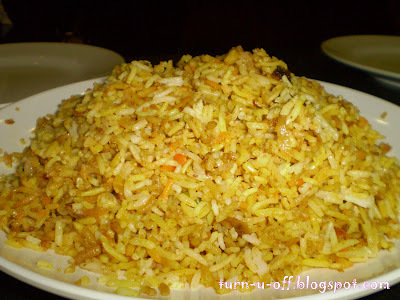 A BIG portion of rice cooked with saffron (the world's most expensive spice by weight), so it gets a luminous yellow-orange color, and then mixed with the remaining white rice for aroma. Persian food is not spicy and they use herbs A LOT. It is exotic yet simple; healthy yet colorful! 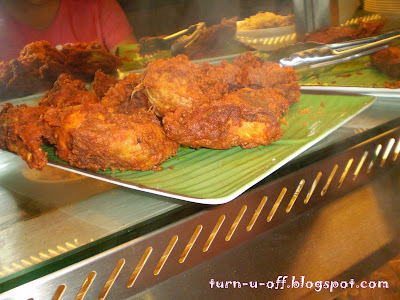 Well, for something hot and spicy, we went to this Pakistani restaurant in Jalan Bukit Bintang. To me it's more like Indian food. It might not wind up being my favorite cuisine, but everything looks tasty when I'm hungry! Pakistan was part of British India prior to its independence. That's why their food is similar. Hindi and Urdu, the official language of Pakistan, are also very close to each other, perhaps like Bahasa Malaysia and Bahasa Indonesia. it all looks yummy except the mutton. I just can't seem to acquire a taste for lamb, mutton, or goat! 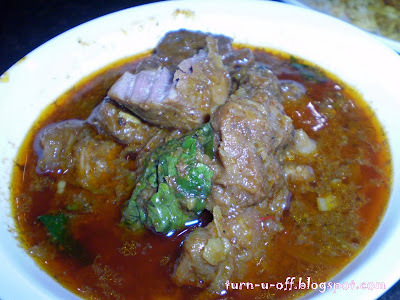 mmmm, the curry mutton looks delish!! You remind me of a Bangladeshi friend who used to cook his favourite dishes and rice for me and other friends once in a while whenever he felt thankful. Indeed. it's very very fattening! yeah, they made it coz they like to cook! hehe! Yes, I agree with you; not very healthy actually..
and also end up at the gym! LOL! 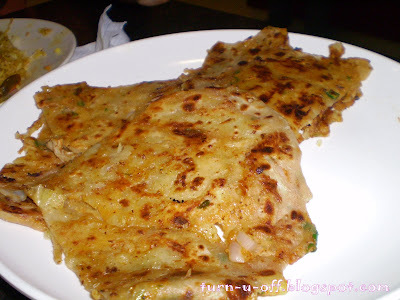 oh I have never tried Bangladeshi food before.. I love spicy foods.. I am still thinking about that curry mutton! Monica, Can tell me how to be a follower? I want to put my photo at you blog like others too. Yeah, it's like Indian food. Must drink more water. Anyway, it's cool. 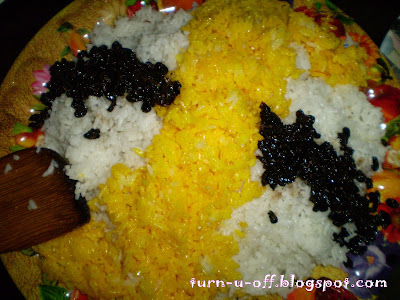 What is the black thingy on the rice?